Extra Romantic bouquet for Valentines Day! When you want to make a BIG Impression! A Romantic Surprise Rose Bouquet for Valentine's Day or any romantic occasion!!! A stunning bouquet of long-stem fresh New Zealand grown Long Red roses with foliage, filler and trimmings in a water-filled vox with flower food to ensure long lasting freshness. 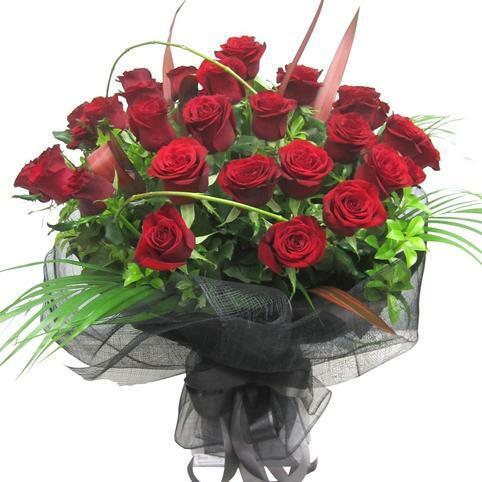 Choose from 2 Dozen Red Roses, 30 Roses, or 3 Dozen Roses delivery Auckland wide. 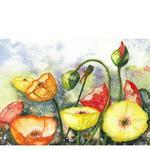 Perfect for an Anniversary or Special Celebration! > Definitely arranged with the WOW factor. 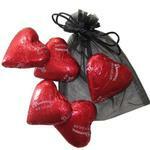 Chiffon Gift Bag of x5 Solid Chocolate Hearts. N.Z. made from Donovan's Chocolates. Romantic Helium Balloon. 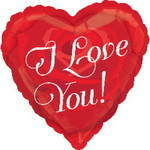 choose from I Love You, Kiss me, Hugs and Kisses, Your'e Special and Plain red hearts. 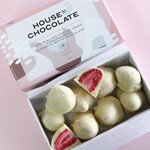 Freeze-dried delicious NZ strawberries smothered in white chocolate! The challenge is to stop at just one! From "House of Chocolate". Made in Beach Haven, Auckland.